The International Neuropsychological Society (INS) will be sponsoring CE credits for the HNS conference programming. 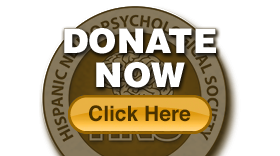 INS is approved by the American Psychological Association to sponsor continuing education for psychologists. INS maintains responsibility for this program and its content. Up to 2.5 credit hours are available for this program. All CE sessions are geared for advanced level instructional activity. 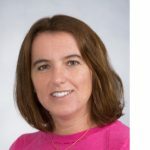 Abstract: Research regarding the impact of bilingualism on cognitive functioning has documented both costs and benefits across cognitive domains and over different stages of development. A lifespan perspective on the effects of bilingualism highlights the cognitive resources required at an early age to effectively acquire and maintain a second language, as well as how cognitive abilities may fluctuate over time secondary to the effects of second language acquisition. Moreover, a lifespan model considers the possible dormant period of the impact of language during early adulthood years, while highlighting how the possible mechanisms of these effects can be revealed during the older adulthood period. Given this framework, the study of bilingualism on cognition is now focused on specific cognitive processes rather than domains of skill development, processes that suggest a protective factor against neurodegenerative conditions. Dr. Bialystok will provide a review of bilingualism and how second language acquisition impacts neurocognitive functioning throughout the lifespan. Identify the impact of bilingualism during the early stages of development and apply this knowledge when conceptualizing pediatric cases. Explain the difference between cognitive processes versus cognitive domains and how bilingualism impacts these skills across the lifespan. Provide a theoretical framework to explain the possible protective factors of second language acquisition in older adulthood. 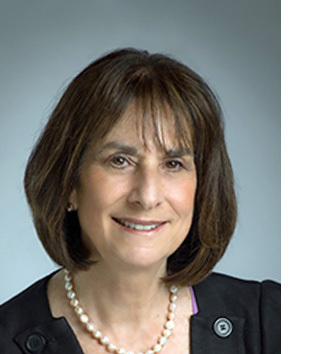 Speaker Bio: Ellen Bialystok is a Distinguished Research Professor of Psychology and Walter Gordon Research Chair of Lifespan Cognitive Development at York University, and Associate Scientist at the Rotman Research Institute of the Baycrest Centre for Geriatric Care. She was named an Officer of the Order of Canada in 2016 and has been a Fellow of the Royal Society of Canada since 2003. Her research uses behavioral and neuroimaging methods to examine the effect of bilingualism on cognitive processes across the lifespan. Her discoveries include the identification of differences in the development of essential cognitive and language abilities for bilingual children, the use of different brain networks by monolingual and bilingual young adults performing simple conflict tasks, and the postponement of symptoms of dementia in bilingual older adults. 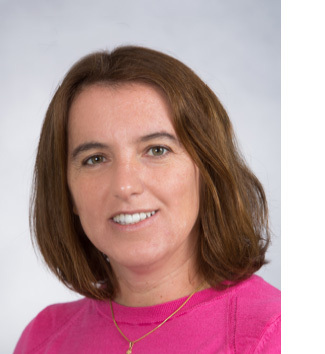 Her current studies are investigating the effects of bilingual education on children’s development and the cognitive and brain consequences of bilingualism in older adults. Among her many awards are the Killam Prize for the Social Sciences (2010), York University President’s Research Award (2009), and the Donald T. Stuss Award for Research Excellence at the Baycrest Geriatric Centre (2005). In 2017 she was granted an honorary doctorate from the University of Oslo for her contributions to research. Abstract: Normative data for Spanish speakers is limited and clinical classifications have been shown to vary significantly given socio-demographic variables, such as country of origin, language variations, education, and acculturation. Recent normative studies have provided updated normative data sets, yet discrepancies persist. This interactive session (composed of a primary speaker and three panelists) will discuss access to measures, normative data sets, clinical utility of published materials, impact of sociodemographic variables on neurocognitive outcomes, and possible statistical corrections. Examine possible discrepancies on presented data sets and the clinical implications. Identify key cultural variables associated with published normative data sets and related materials. Discuss the clinical utility of presented neuropsychological measures. 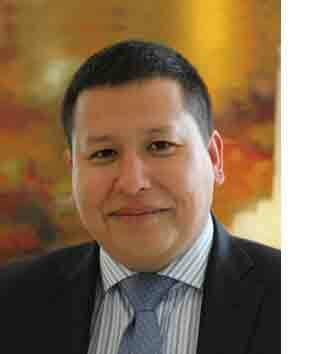 Dr. Juan Carlos Arango-Lasprilla is currently a Research Professor at BioCruces Health Research Institute. Cruces University Hospital at Bilbao Spain. A neuropsychologist by training, Dr. Arango areas of expertise are neuropsychology, traumatic brain injury and rehabilitation. He has been instrumental in securing over $6 million dollars in grant funds as PI and co-PI, primarily focusing on research cross cultural neuropsychology, traumatic Brain Injury and rehabilitation. He has received national recognition for his work in the area of brain injury and rehabilitation, including early career/emerging professional awards from the National Academic of Neuropsychology, the American Psychological Association’s Division 22 Rehabilitation Psychology and Division 45 (Society for the Psychological Study of Ethnic Minority Issues) and the International Brain Injury Association Young Investigator Award. Dr. Arango has published more than 300 articles and book chapters. He is well-known both in the US and abroad in his areas of expertise, and has been a guest editor of seven special issues in prominent rehabilitation journals. Dr. Arango has conducted numerous research studies in Europe, Central America, South America and the United States focused on understanding and addressing the cognitive, psychological and emotional needs of individuals with brain injury and their families. As a renowned expert in his field, he is often invited to national and international conferences to speak on brain injury, neuropsychology, and rehabilitation. 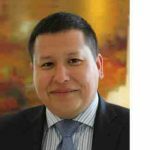 Dr. Arango enjoys teaching and has lectured at Grand Rounds and at more than 85 different universities across the globe. 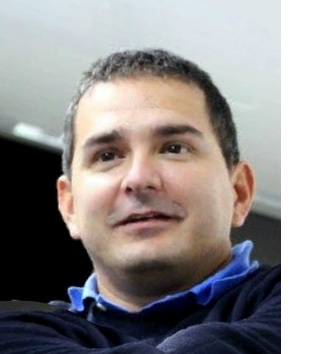 Diego Fernando Rivera Camacho, Ph.D.
Diego Rivera is a psychologist from Surcolombiana University (Colombia) with a master’s degree in public health from the National University of Colombia (Colombia), and PhD in psychology from the University of Deusto (Spain). As part of his doctoral program, he completed an international internship of three-month at Virginia Commonwealth University (USA) under the direction of Dr. Paul B. Perrin. Dr Rivera was part of the scientific committee and one of the main coordinators of the First Iberoamerican Congress of Neuropsychology, involving 50 invited speakers and 1,400 attendees from 22 countries. At the same time, Dr. Rivera was the main coordinator of the Iberoamerican multicenter studies which aimed to generate normative data for neuropsychological test for children and adult population from 13 countries. 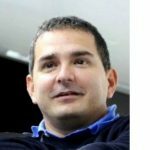 Dr. Diego Rivera is currently a researcher at BioCruces Bizkaia Health Research Institute within “Neuropsychological and Neuroimaging outcomes in Multiple organ dysfunction syndrome” research project. His research lines are focused on analyzing psychometric properties of neuropsychological tests, generating normative data for neuropsychological test, and recently designing models to predict neuropsychological performance using Machine Learning methodologies. 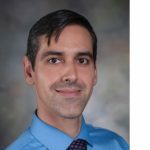 Dr. David A. Gonzalez is a clinical assistant professor in the Department of Neurology at the University of Texas Health Science Center at San Antonio. 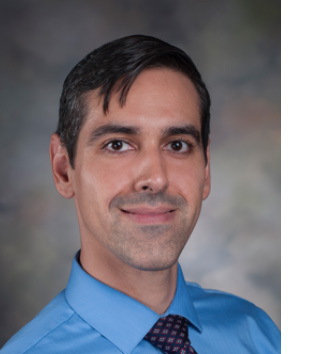 He conducts neurocognitive assessments in English and Spanish and participates with three multidisciplinary teams: an epilepsy surgery planning team, a deep brain stimulation (DBS) for movement disorders team, and a neurodegenerative diagnosis and care team. 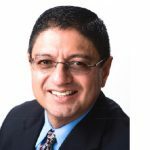 He serves on committees of national and local professional organizations and his service has focused on addressing diversity in the profession, legislative advocacy, professional development, and community education. He has several peer-reviewed publications and serves as an ad-hoc peer reviewer for several journals. Jose M. Lafosse, Ph.D., ABPP, is a board-certified neuropsychologist and Professor in the Department of Psychology & Neuroscience at Regis University in Denver. 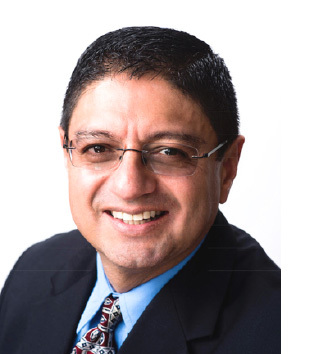 He is also a consulting neuropsychologist at Craig Hospital, and has a private practice in which he does both clinical and forensic evaluations in English and Spanish. He obtained his Ph.D. from the University of Southern California after earning a B.A. from Loyola Marymount University. He then completed an internship in clinical neuropsychology at the Palo Alto V.A. Medical Center, followed by a residency in clinical neuropsychology in the Department of Neurology at the University of California Davis School of Medicine. Dr. Lafosse is a reviewer for several neuropsychology journals, and a Fellow of the National Academy of Neuropsychology. Dr. María Marquine is an Assistant Professor in the Department of Psychiatry at the University of California San Diego (UCSD). A native of Uruguay, she immigrated to the United States to pursue higher education in neuropsychology. She completed her doctorate degree in Clinical Psychology (neuropsychology track) at the University of Arizona (Tucson, AZ). She has post-graduate studies in clinical neuropsychology at Duke University Medical Center (Durham, NC), and on neuropsychology and mental health research at UCSD. Her research focuses on understanding predictors of neurocognitive impairment among Hispanics/Latinos. She is currently the Principal Investigator of several studies, including projects aimed at understanding disparities in neurocognitive outcomes among older HIV-infected Hispanics (funded by the National Institute on Minority Health and Health Disparities [NIMHD] and the National Institute of Mental Health [NIMH]), and projects investigating biological pathways underlying the association of stress and neurocognitive impairment among Hispanics (funded by the National Institute on Aging [NIA]). She has also had a leading role in the development of neuropsychological test norms for Spanish speakers living in the United States. In her clinical work, much of Dr. Marquine’s practice has focused on the neuropsychological evaluation of Hispanics. Dr. Marquine also serves as Member-at-Large for the Hispanic Neuropsychological Society.